We'll take a look at several popular betting sites. What Are The Best CSGO Betting Sites? With over 55 websites now for CSGO gambling, understanding what it is and how it works may get you interested. Secondary markets for games that have tradable items and loot boxes have existed for some time now. But CSGO is currently one of the most popular games used for these betting sites. Many CSGO players spend real money to open loot boxes they receive from logging matches. These loot boxes contain random weapon skins. 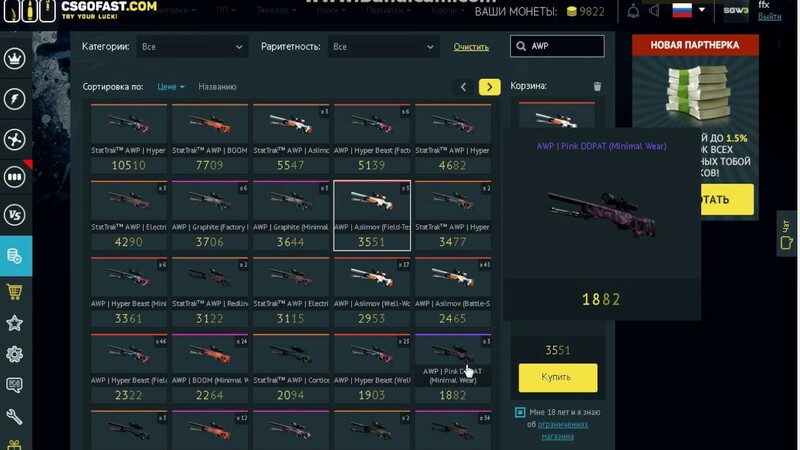 Now with CSGO betting, they can take these skins and bet for more unique and valuable skins. Players can sell the new skins they get or keep trading with them. On CSGO betting sites you can turn any of your weapon skins, real money, or even Bitcoin into tokens. These tokens will allow you to play casino style games to win points. Or you can even bet on CSGO eSports matches. Is all this completely legal? We’re still not sure exactly. But there are limits for the amount that can be bet on a single match. When your bet wins, you can trade your winnings in for other (often more valuable) skins. Or use winnings for packages that contain random skins. There are many skin selling sites like luckynade.com where you can sell the skins you have. It’s important to always try trading up for skins that are more desirable. Much of the process runs through your Steam account. You can always check a skin’s market value by heading to the Steam Community Market. Make sense? 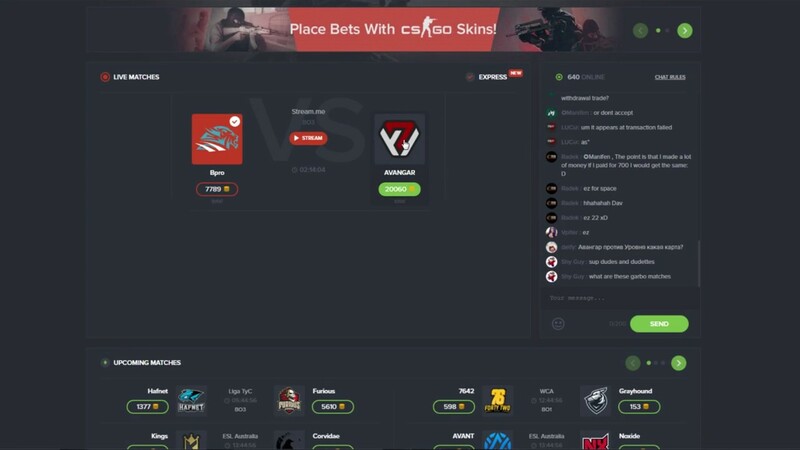 The process can be intimidating at first (and possibly illegal in certain cases), so check out this list of the top five CSGO betting sites to learn about the different features, ways to bet, and site security. 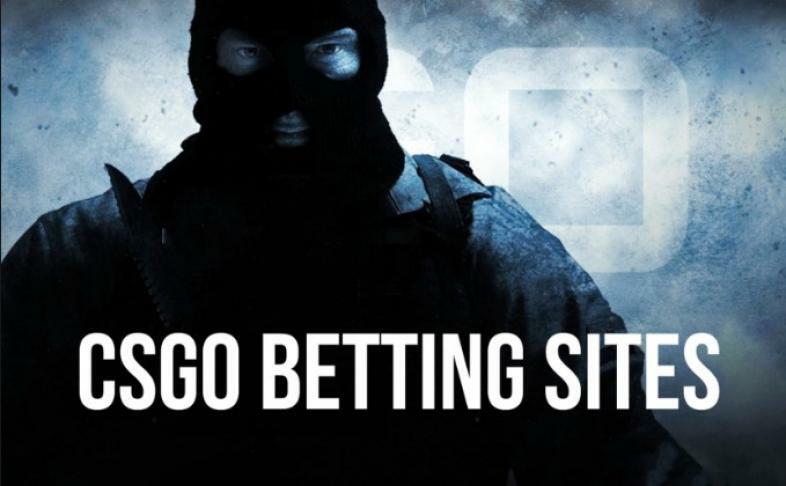 Note: At the time of writing, some CSGO betting sites were affected by a trade hold. CSGO Positive is a place where you can bet skins on eSports matches. Trade in skins or real money for gems. Exchange gems for coins that can be used to place bets on matches or rounds between top players. CSGO positive takes no commissions on deposits or withdrawals. The CSGO Positive marketplace was down at the time of this writing, perhaps due to the trade hold. You can still bet on CSGO games by depositing CSGO skins to trade winnings in their marketplace, but only for DOTA 2 items. CSGO-case is a betting site that features fun casino style games. Their CSGO betting and skins marketplace is currently up and running. Deposit a skin from your inventory to play games like blackjack or dice. Use your site winnings to purchase new skins. Even after the trade hold, CSGO-case maintained their CSGO skin trading operations. Many users have given positive reviews to this betting site. Customer support is offered and daily bonuses are handed out as you level up. The more cases you open, the more experience points you earn. 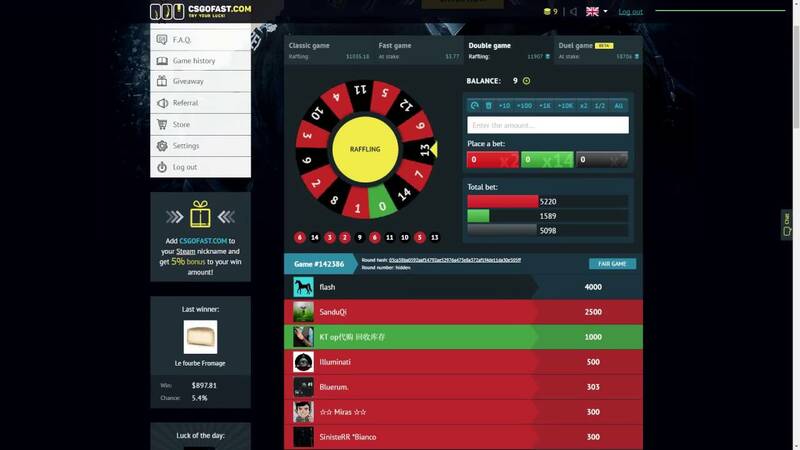 CSGO Fast features a roulette style game where you can use points to play. To get points, trade in skins or real money. You’ll get different amounts of points depending on the value of the skin. If you win, head over to their store with your new points to purchase other skins you want. Users who have continuously played on the site have noted it’s fun and not rigged. However, CSGO Fast does take service commissions. Gamdom is a fan favorite with many features. The site layout can be intimidating if you’re a beginner. Deposit your CSGO skins, money, or Bitcoin for a balance that you can use to gamble. They offer four different gambling games. The games pay out coins that you can swap for skins. One nice feature is daily free coin rewards you can use to swap for skin dollars. The marketplace for CSGO skins is currently functioning. Use it for direct purchases and to make trade offers with other players. Gamdom claims that “…Results for all future games are already predefined and normally distributed due to math that backs up the strong cryptographic SHA256 function. We cannot manipulate this chain of results without the public noticing it.” We’ll have to take their word for it.